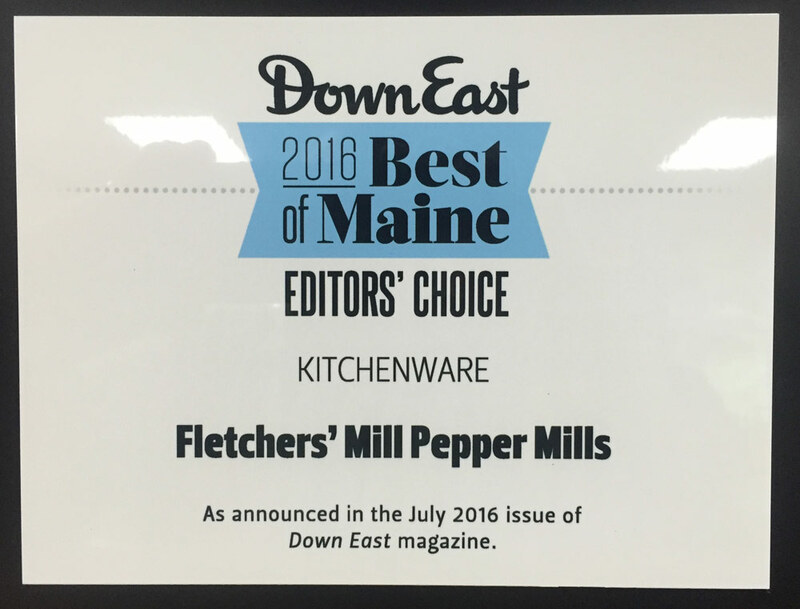 Fletchers' Mill presented award for "Best of Maine" in the Kitchenware category for 2016! Fletchers’ Mill was presented with the award for “Best of Maine” in the Kitchenware category for 2016! We are proud to make our Pepper and Salt Mill Grinders in Maine, and be Made in USA! Click here to view our full selection of Made in USA Pepper Mill and Salt Mill Grinders. Click here to read the full article at DownEast.com!